It’s time for some serious cooking, and I’m not talking about eating, but rather search engine optimization (SEO). The best recipes have the best ingredients, quality over quantity and it doesn’t have to be expensive or elaborate. Let’s think about the word optimization and its meaning: to make the best or most effective use of a situation, opportunity, or resource. A search engine is similar to a librarian, guiding the patron toward finding just what is needed. Every search engine has an algorithm (recipe), turning information into useful data for the end user. Search engines like Google, Bing, Yahoo, etc. want those results to be the best, the most beneficial to the individual search query. The search engines that deliver the best user experience, keep their users coming back for more! Think about the last time you did a search. I bet you clicked one of the top sites in the SERP’s (search engine results page), the “holy grail” of SEO. They are the ones that are visited the most, and tend to be very successful, especially if they are a company wanting your business. How do you secure those coveted spots? The key ingredients in being highly ranked, include many inputs such as; keywords, domain authority, relevancy, back-links, and more. There is no way to pin-point exactly what a search engine considers relevant. However, there are steps you can take to improve your chances of being found online. 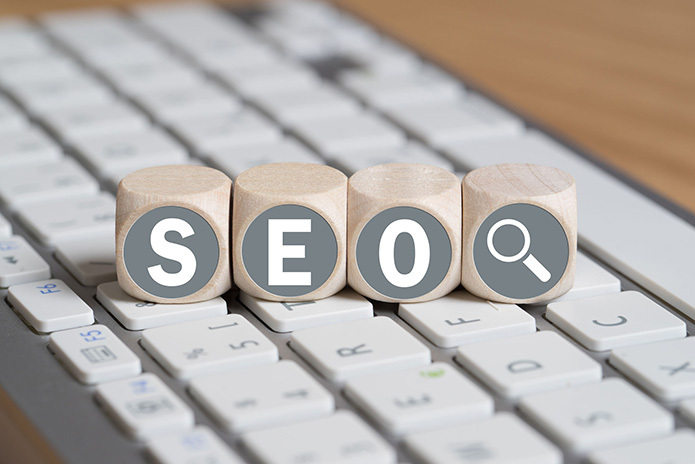 Optimizing your site for keywords you consider important to your business is a great first step. These words should obviously be in the title tags, but also should be integrated strategically throughout the page you are wishing to rank. Always keep in mind, that the on-page search optimization must seem natural. If it’s overdone, it could be regarded as spam, and hurt your ranking. Learn more about our web design services here. If you are considering improving the authority of your site, or are looking for additional support to increase your overall web presence, please give us a call. We offer free consultations and are looking forward to hearing from you. We are conveniently located in Novi Michigan, and support many of the surrounding communities and beyond. Contact us today and let’s get cooking!